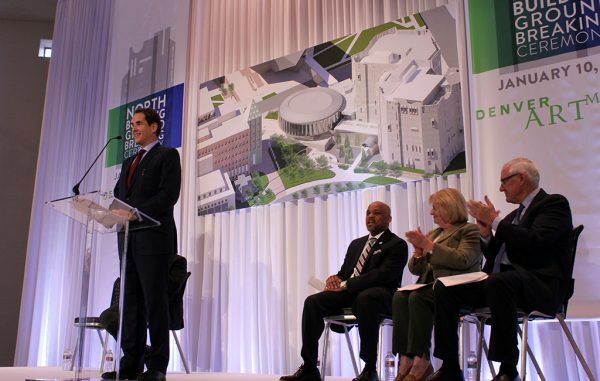 Denver Art Museum: The DAM held a groundbreaking ceremony Jan. 10 for renovations at the North Building. Director Christoph Heinrich said the $150 million project was the museum’s largest ever. The building opened in 1971. The North Building will be renamed for J. Landis “Lanny” and Sharon Martin, who donated $25 million to the project. The DAM also announced in December that it would host the “Rembrandt: Painter as Printmaker” exhibit. It will feature more than 100 of Rembrandt van Rijn’s works. The DAM will be the only venue nationwide presenting the exhibition, which runs from Sept. 16 to Jan. 9. 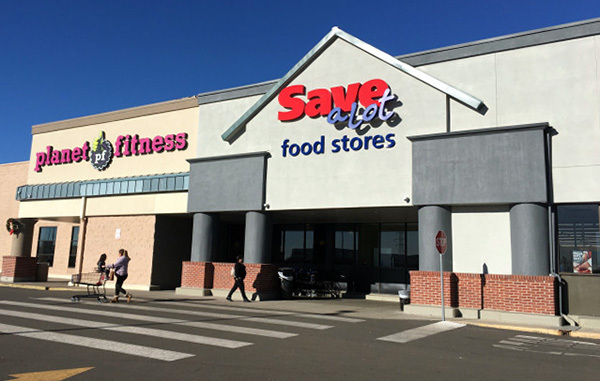 The Chambers Place redevelopment project helped open a Save-A-Lot grocery store. Colorado Enterprise Fund: The Enterprise Fund loaned $1 million – its largest ever – and helped secure $2.5 million from the Colorado Housing and Finance Authority and Colorado Trust, resulting in $3.5 million for the Chambers Place redevelopment project. That project helped to open a Save-A-Lot grocery store at 4884 Chambers Road in the Montbello neighborhood. FoodMaven: FoodMaven, a new Colorado Springs-based nonprofit, has brought in $5 million of a $7 million capital raise, according to SEC documents filed Dec. 19. The company will take unused food from local organizations and sell it online at half-price. Food not purchased through the website will be given to hunger-relief organizations. Morris Animal Foundation: On Dec. 13, the American College of Veterinary Internal Medicine Foundation announced it would give all its remaining funds, $424,000, to the Denver-based Morris Animal Foundation. The board of regents at ACVIM approved a motion to dissolve the Greenwood Village-based nonprofit in December 2016. Jewish Family Service: At its Dec. 14 event, The Faces of JFS 2017 Winter Soiree, the nonprofit raised nearly $375,000. The first Yana Vishnitsky Leadership Award was given to Sam Zaitz, and the Joyce and Kal Zeff Humanitarian Award was presented to Gay Curtiss-Lusher. Denver Research Institute: The nonprofit recently signed a seven-year lease with North Star Partners to move into an 8,000-square-foot space at 830 Potomac Circle in Aurora. Denver Research Institute is an affiliate of the VA Eastern Colorado Health Care System. Colorado Business Committee for the Arts: The Business for the Arts Awards luncheon will be held March 13 at the Denver Center for the Performing Arts. The awards also will include the EY Next Wave Leadership Award, the John Madden Jr. Leadership Award, Volunteer Attorney of the Year and the Cultural Leadership Award. Staenberg-Loup Jewish Community Center: The JCC recently finished several construction projects on its Denver location. Projects included adding a new Early Childhood Center wing with five classrooms, remodeling the fitness area and parking lot and adding two turf fields to its Ranch Camp in Elbert. Children’s Hospital Colorado: Resolute Brewing Co. in Centennial is hosting a Pint for a Pint Blood Drive from 8:30 a.m. to 12:15 p.m. on Feb. 1. Donors will receive a beer coupon that can be used the same day. Children’s Hospital Colorado will administer the mobile blood drive. American Heart Association: On Feb. 14, the American Heart Association will host a Workplace Health Symposium at the Cable Center. The symposium will work with leaders from local organizations on employee wellness. Carl Clark, president and CEO of Mental Health Center of Denver, will speak at the event. The keynote speaker will be Kyra Bobinet, M.D., MPH, CEO and founder of California-based engagedIN. Access Gallery: “Art of Architecture,” a new exhibit featuring pieces by CU Denver College of Architecture and Planning students that worked collaboratively with Access Gallery artists, runs until Jan. 20 at the Access Gallery. The gallery works with artists with disabilities, creating inclusive pieces for its exhibit space. The Denver Architectural Foundation funded the exhibit through a discretionary grant via the Scientific and Cultural Facilities District. The Children’s Museum: Normally reserved for children and families, the Children’s Museum of Denver at Marsico Campus will host its inaugural “Ales, Apps and Barrels of Fun” on Feb. 1. The beer-tasting event will feature local breweries and allow adults to explore museum exhibits. The Tree of Transformation installation will open Jan. 18. Civic Center Conservancy: The Tree of Transformation will open to the public with an event on Jan. 18 at Civic Center Park. The piece was created by local artists Nick Geurts and Ryan Elmendorf of Yetiweurks. 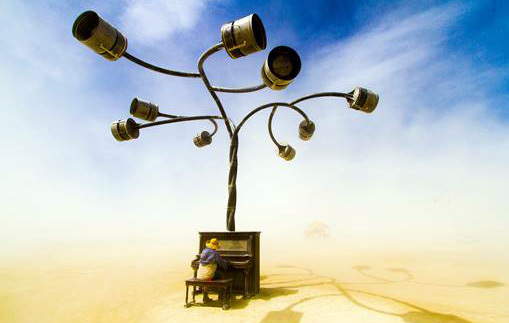 The installation includes 20-foot-high interactive musical trees. It was funded by the P.S. You Are Here grant from Denver Arts and Venues, as well as a grant from Xcel Energy and donation from Slifer Smith and Frampton. Molly’s Spirits: The Denver-based liquor store donated $18,600 through silent auction items, gift cards, products, discounts and in-kind donations to 125 charities and nonprofits in 2017. Molly’s Spirits also holds an annual Rare Whiskey Auction, which raised $16,500 for Wheat Ridge-based Family Tree Inc., which works with victims of child abuse and domestic violence, as well as the homeless. Denver Beer Co.: In 2017, Denver Beer Co. gave more than $22,700 to three charity partners: $12,000 for the Denver Mountain Parks Foundation, $9,000 for the Colorado chapter of American Cancer Society and $1,700 for the Rocky Mountain Children’s Health Foundation. For the American Cancer Society, the brewery started the Drink Pink campaign, where 5 percent of October sales of Princess Yum Yum cans, pints, kegs and clothing products were donated. For the health foundation, Denver Beer Co. donated money from sales of its Water Tower Wit brew at its Arvada Taproom. Denver Institute for Faith and Work: The nonprofit will host its annual Business for the Common Good workshop on Feb. 1 at the Loft at the Ellie Caulkins Opera House. The half-day event will cover business impact on both the economy and communities of Colorado. On Feb. 15, the Denver Institute will host “Callings in Conflict,” a discussion on the connection between science and faith, at the Colorado School of Mines.